While described as "three days of mountain bliss," the Golden Ultra is, literally, a mountain to climb. If you want it to be the best of times, you're going to want to come prepared with a solid summer of training under your belt. If you want it to be an epic challenge... be our guest, come off the couch! Here are some of our favourite coaches (not the afternoon nap kind) and training groups to help you get here in good shape and finish in good spirits! Derrick has coached a number of runners through the Golden Ultra, including three in the first year. He's an accomplished ultramarathon runner in his own right and one of the most caring and dedicated coaches out there. Race Director for the Golden Ultra and multi-sport athlete, Magi has lots to share after training under some of the best coaches in Canada and the World for many years. 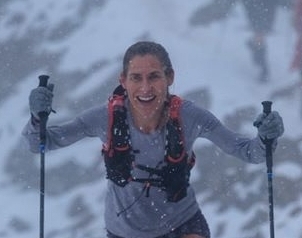 She has raced for Canada in cross country ski world cup events and the World Mountain Running Championships, to name a couple of her many accolades. Jen has been coaching for more than 12 years across all disciplines of running. She has her NCCP and Jack Daniels coaching certificates and works with several training groups in Toronto, including Marathon Dynamics, Toronto Triathlon Club and MB Performance. Most importantly, she ran the Golden Ultra in 2018 and can give some straight up great advice and insider tips for runners tackling the event from sea level. We have a Strava Group if you just want to talk to others going through the same process.